Thank you very much to HungryGoWhere and Miki's team for hosting the food tasting. Miki (美集) started its business in 1986, in the first air-conditioned mall in Singapore. Those who grew up in the area also grew up with the flavour churn out from Miki's kitchen. Through the years Miki has evolved and the second generation has joined the business for the next evolution for the continuity of the business. We started the tasting session with Miki Prawn Paste Chicken ($14 – M), Salt & Pepper Pork Ribs ($14 – M) and Aromatic Pork Ribs ($14 – M). Unlike other restaurant that use only the mid-joint for prawn paste chicken, Miki used the whole chicken. The white meat and the dark meat. It is crispy and succulent. The prawn paste marinate absorbs into the chicken and has the right balance of flavour to it. Salt & Pepper Pork Ribs and Aromatic pork ribs (also known as Mongolian pork rib) are comfort pork dishes that you will likely to order in tze char. The salt and pepper version is slightly thinner and dryer. The aromatic pork ribs are tender and succulent. The aromatic coating and sweetness to the pork really open up your appetite. 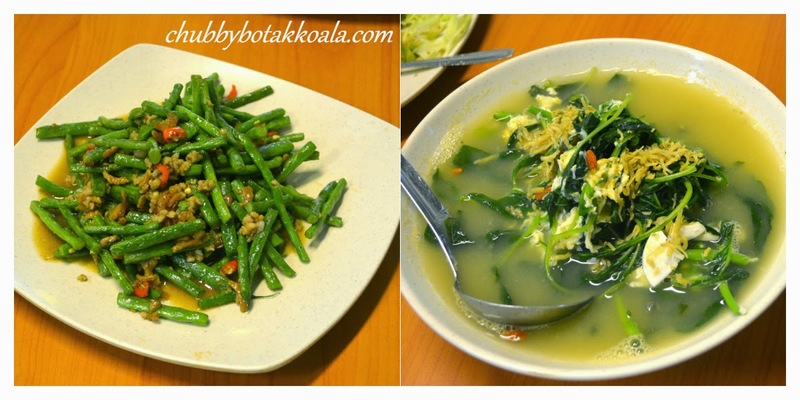 For vegetables, we had Stir Fry French Bean – spicy version ($12-M) and Spinach with three eggs ($12 – M). The French bean is crisp, tasty and finished off with spicy explosion from the chilli padi. For the spinach, the broth is robust and flavourful. The three eggs provide different taste to the young spinach. 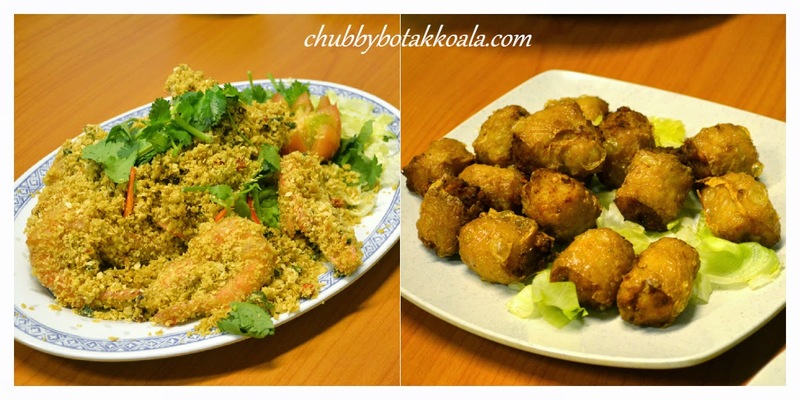 Crispy Cereal Prawn ($20 – M), Crispy Butter Calamari ($16 – M) and Prawn Roll ($12 – M). The crispy butter calamari here really hits the spot. It is fragrant, lightly coated with crispy batter and tender calamari. The crispy cereal prawns are fresh, but the fragrance of the dish seems lacking. It can do with more cereal. I will give the prawn roll a miss, as the fillings are to starchy for my likings. Miki Curry Fish Head ($22 – S) is a must try dish here. The fish are fresh and the curry is thick and rich (lemak). It is served with dried bean curd and also fried emping / belinjo crackers. This is a dish that will make you polish up a few plates of rice. Through the years, Miki has expanded its menu to include Thai-Style BBQ items using their Thai Chef in house recipe. Thai-Style BBQ Pork ($16 – M) is well grilled. It is well marinated, tender and succulent. Thai-Style BBQ Prawn ($$20 – M) nicely grilled with a hint of sweetness from the marinate. Thai-Style BBQ Mid-Joint ($$15 – M), can be better if they allow it to have sit in the bbq longer and allow for more caramelisation, like our Singapore BBQ chicken wings. 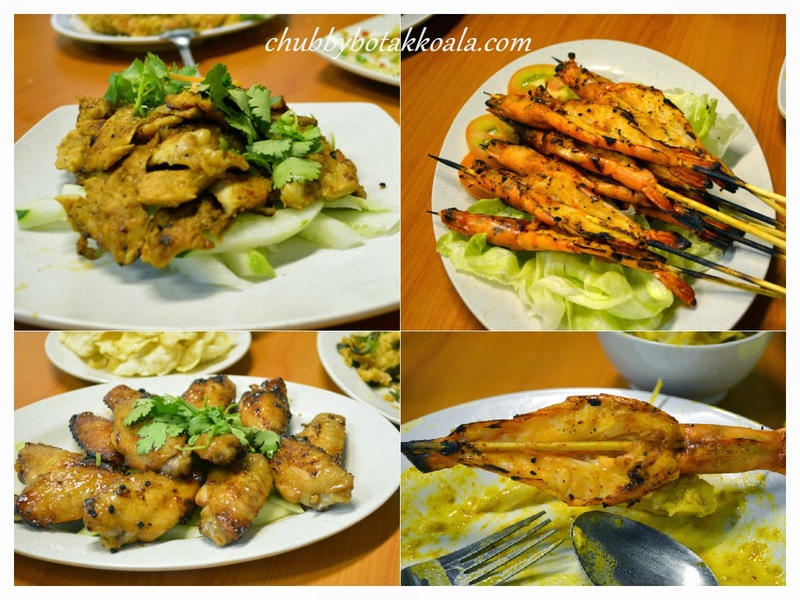 Clockwise from top left: Thai-Style BBQ Pork; Thai-Style BBQ Prawn;Thai-Style BBQ Prawn (Close up); Thai-Style BBQ Mid-Joint. 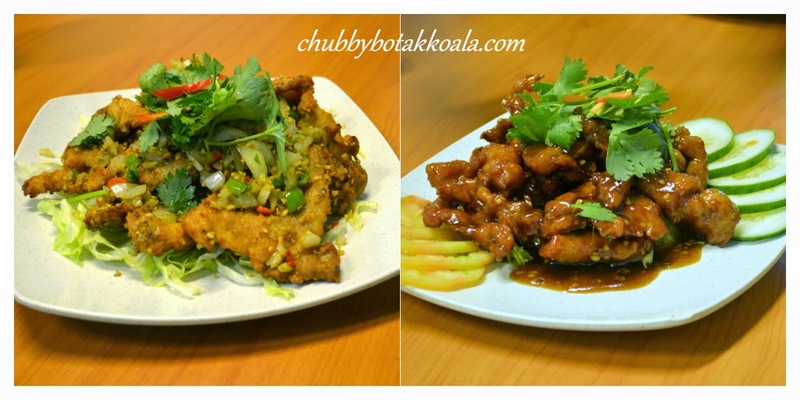 For the finale, we tried their Hot Plate Venison ($20 – M), Cashew Nut Chicken ($14 – M) and Spicy Kung Pao Frog Leg ($15 – M). The frog leg is tender with a manageable spiciness. The sauce lack of punch though. The same can be said about the venison. The meat slightly chewy and bland in taste. The Cashew Nut Chicken, is actually a common dish that you will find in any Chinese restaurants in the Western countries. Surprisingly, Miki version is just delicious. The chicken pieces are just succulent and tasty. The sliced mushroom, capsicums and cashew nuts provide complementing taste and texture to the dish. Overall, it is not surprising to see Miki manage to grow its business over the past 29 years. In total we sample 15 dishes. Some of the dishes are nicely executed and provide comforting dishes to the customers. There are enough variety to cater everyone. Price is reasonable, similar to other tze char establishments. So if you are around East Coast / Katong area, give Miki a try. Check out the Golden Indian Chief statue outside. Cheers!! !